TYSON’S CORNER, VA, November 26, 2018 – The University Corporation for Atmospheric Research (UCAR) has awarded TalaTek, an integrated risk management firm, a contract to support annual risk assessments in accordance with National Institute of Standards and Technology (NIST) 800-53 and Federal Information Security Management Act (FISMA) requirements. The cybersecurity risk assessments will enable the Constellation Observing Systems for Meteorology Ionosphere and Climate Program (COSMIC), that is part of UCAR and the UCAR Community Programs, to best understand where to focus its cybersecurity resources and investments. TalaTek will help COSMIC identify recognized threats and threat actors and the probability that these factors may result in data exposure or loss, helping the Boulder, Colorado based organization to gain a more in-depth understanding of its environment as it works to further strengthen its cyber defenses. The Constellation Observing Systems for Meteorology, Ionosphere, and Climate Program is part of the University Corporation for Atmospheric Research and the UCAR Community Programs. UCAR is a consortium of more than 100 universities that grant doctorate degrees in the atmospheric and related sciences. The mission of the COSMIC Program is to develop innovative observational techniques that use signals from Global Navigation Satellite Systems and to support the application of these techniques in research and operations for the broader Earth science community. TalaTek helps organizations protect data by reducing risk. Founded in 2006, the woman-owned cybersecurity firm provides threat, vulnerability and compliance management services using a singular, integrated view of risk for government and business clients through its cloud-enabled platform, adaptive risk management process and team of security experts. 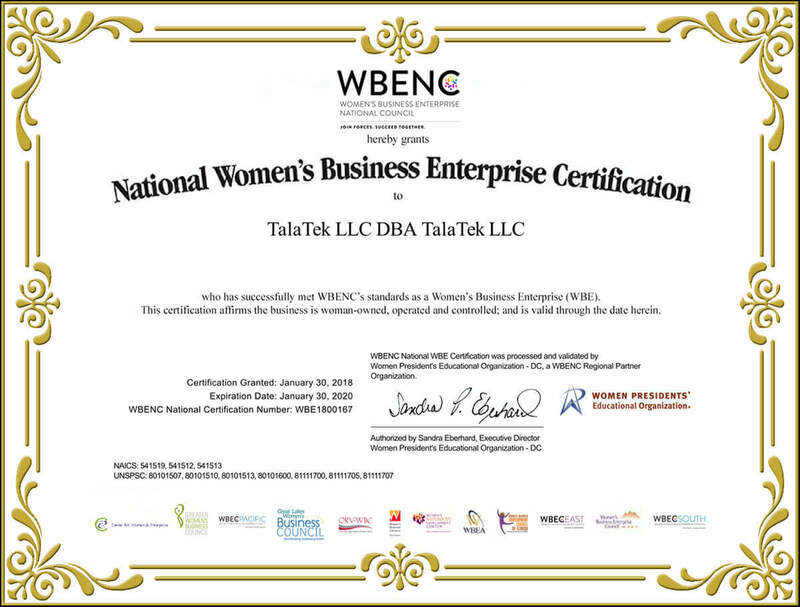 Visit www.talatek.com for more information and follow the company on Twitter and LinkedIN.